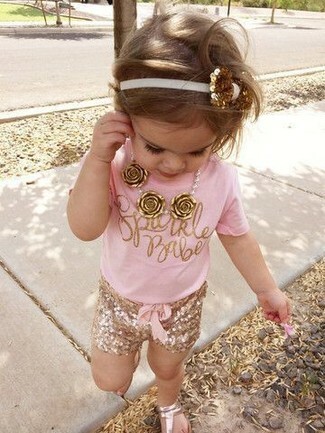 A pink t-shirt and gold shorts are a go-to outfit for lazy days when you and your little girl don't want to do anything special. Gold sandals are a good choice to complete this ensemble. Dress your mini fashionista in red lace dress for an elegant, fashionable look. 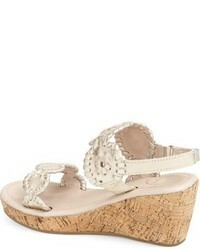 Jack Rogers miss luccia wedge sandal are a wonderful choice to complete this getup. Suggest that your little princess opt for a light blue tank top and tan shorts for a fun day in the park. Gold sandals are a smart choice to complement this look. 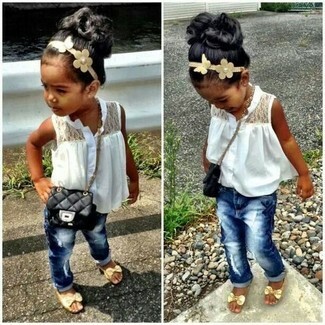 A white tank top and navy jeans are a nice outfit for your little fashionista to wear when you go on walks. Gold sandals are a nice choice to complete this ensemble. Suggest that your little one wear a white tank top with a yellow skirt for a fun day out at the playground. Finish off this ensemble with gold sandals. 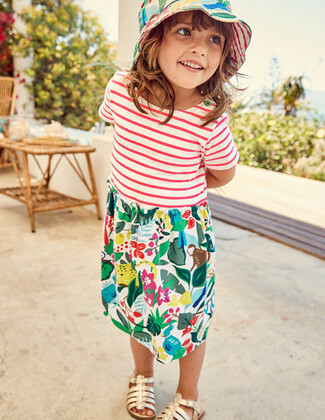 For an everyday outfit that is full of character and personality suggest that your little girl choose multi colored print dress. 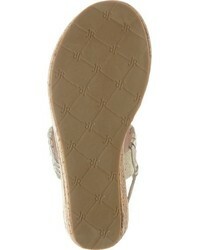 Jack Rogers miss luccia wedge sandal are a savvy choice to complement this getup. 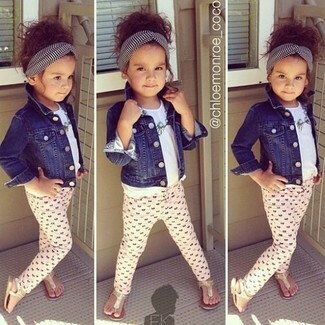 Suggest that your daughter opt for a navy denim jacket and pink leggings for a laid-back yet fashion-forward outfit. 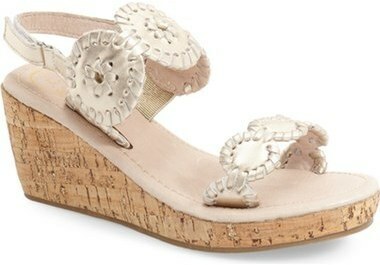 Jack Rogers miss luccia wedge sandal are a smart choice to complete this look. Suggest that your mini fashionista wear a black long sleeve t-shirt with a beige tulle skirt for a comfortable outfit that's also put together nicely. This ensemble is complemented nicely with Jack Rogers miss luccia wedge sandal. 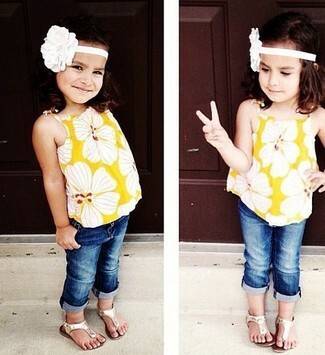 Suggest that your little princess team a yellow tank top with navy jeans for a laid-back yet fashion-forward outfit. Jack Rogers miss luccia wedge sandal are a smart choice to complete this ensemble.